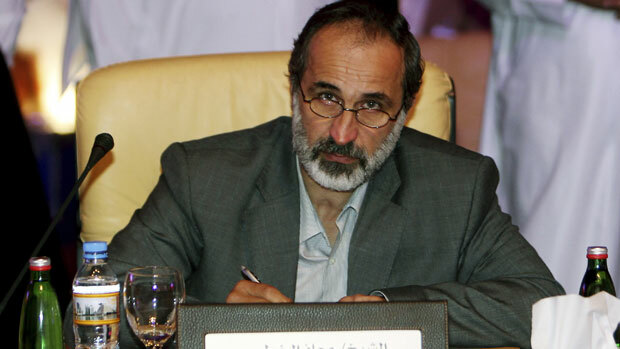 Syria’s opposition: who is who? On Wednesday 8th of May, the CNAPD (Coordination Nationale d’Action pour la paix et la Démocratie) invited Mr. Paul Delmotte, Professor and specialist on Middle-East, to help to answer the question: Who is the Syrian opposition? Mr. Delmotte insisted on the existence of a multiplicity of oppositions in Syria, which defend different views and have different interests. Their only common denominator seems to be their desire to overthrow the Syrian President, Bashar al-Assad. Some of them also advocate the destruction of the ruling party, the Ba’ath Party. To simplify the comprehension of Syrian protest movements, Mr. Delmotte offered to operate a division of the Syrian opposition in four groups. It would be unfortunate to see the Islamic opposition as a united bloc. Indeed, within the Islamic movement in Syria, different movements can be highlighted, in particular within the Muslim Brotherhood. Thus, it is necessary to be extremely cautious, when talking about the Islamic opposition. Some members are more radical, tending towards Salafism, some others are more moderate, and we should not forget the Liberal Islamists as well. Therefore, according to various Islamist groups, aspirations differ. Mr. Delmotte recalled the particular history of the Muslim Brotherhood in Syria. If in other Muslim countries they have acquired a political acumen, this has not been the case in Syria. Indeed, in 1980s, the repression of the Islamist insurgency had nearly eliminated the Muslim Brotherhood in the country. However, there has been a resurgence of the movement since the beginning of the Syrian revolt. It is noteworthy that the Islamic opposition is banned by the Syrian government. Again, a range of groups form the Leftist Opposition. Amongst them, Professor Delmotte mentionned the Syrian Democratic People’s Party, which is the main socialist party, the Syrian Communist Party, which is an avatar of traditional communist parties, and some smaller political groups, such as the secular group. They advocate the overthrow of the regime as a whole. In addition, they refuse any intervention by Western countries or by Gulf countries in the Syrian conflict. Finally, they emphasise the need to develop effective social protection. Beyond political parties, this movement gathers activists in the Syrian opposition: the journalist Michel Kilo, the Syrian doctor and artist Kamal al-Labwani, and other leading figures and members of different Syrian parties. This part of the Syrian opposition fights in favour of the overthrow of President Bashar al-Assad. However, they consider that the whole system is not illegitimate. According to them, some elements remain wholesome in the existing regime. Mr. Delmotte highlighted that a portion of the population of northern Syria belongs to the Kurdish community. He stressed that the Kurdish opposition defends its own interests in the Syrian conflict. Indeed, in the past, members of this movement have alternatively fought Syrian rebels and the government. The Kurdish Opposition is an alliance composed of two groups: the Kurdish Democratic Union Party, which is the Kurdish Syrian political party (listed as a terrorist organisation by Turkey, the United States, the European Union and NATO) and the Kurdish National Council. This Council does not claim independence, but requires an administrative decentralization. Despite this plurality of opposition movements, Mr. Delmotte recalled that a coalition of the aforementioned opposition groups has been formed in November 2012. Since then, the National Coalition for Syrian Revolutionary and Opposition Forces, including the Syrian National Council, is regarded as the official representative of the Syrian opposition. However, divergent interests and aspirations of these groups raise the question of the Syria fragmentation and the question of the emergence of a national reconciliation in the future. This entry was posted on 08/05/2013 by ISIS Europe in Conferences, Lorène-Fara Andrianarijaona and tagged Arab Spring, Democratisation, Middle East, Syria, Syria crisis.